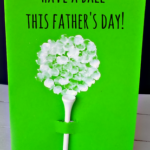 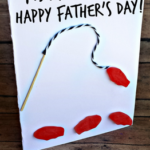 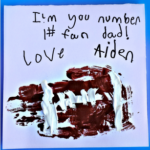 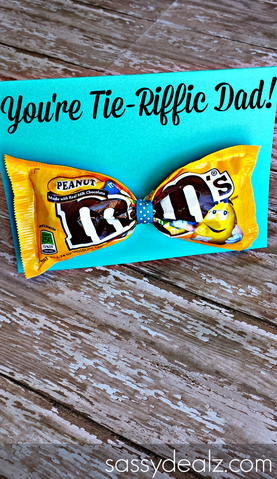 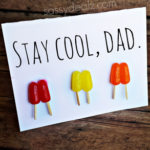 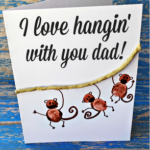 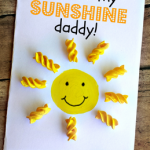 Have your kids make this adorable m&m bow tie Father’s Day card for their dads! 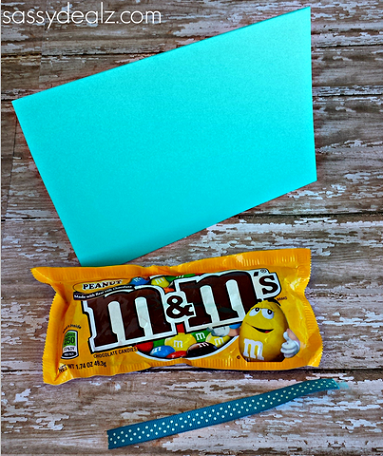 It’s very frugal to make as you only need a couple items. 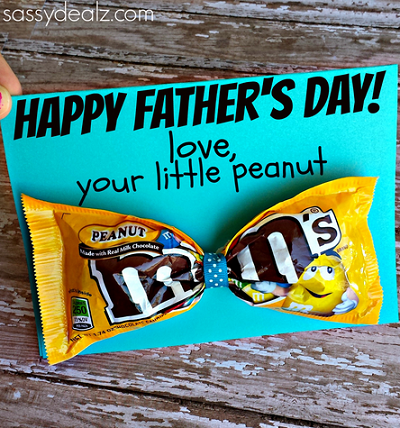 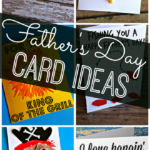 I think dad would get a smile out of this gift idea! 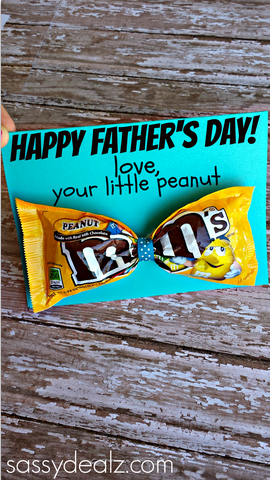 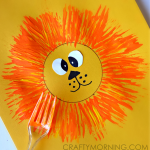 You will need cardstock paper, ribbon, glue, and a bag of peanut M&Ms. 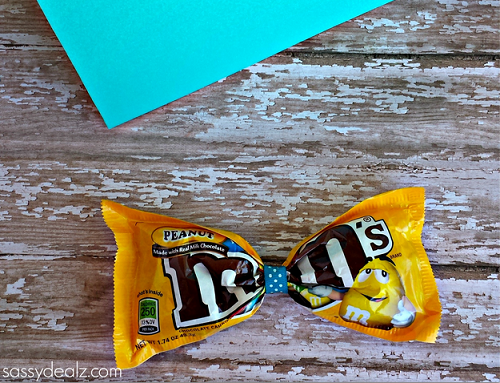 Start by pinching the middle of the m&m bag and tie the ribbon in a knot around it. 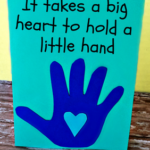 Make sure each side is evenly filled.